Tesco Express is directly at 56 Dorchester Road, about a 0.65 mile distance north from the centre of Weymouth, in Melcombe Regis (close to Weymouth Community Hospital and Weymouth College). The supermarket is a great addition to the local businesses of Rodwell, Melcombe Regis, Weymouth Town Centre, Nottington, Radipole Village, Overcombe and Lanehouse. If you'd like to visit today (Thursday), its operating times are from 6:00 am - 11:00 pm. Here you may find some important information about TESCO Weymouth, Dorchester Road, including the hours of opening, place of business address or telephone details. Tesco Express is prominently located not far from the crossroads of Alexandra Road and Dorchester Road, in Melcombe Regis, Weymouth. Just a 1 minute trip from Cranford Avenue, Coombe Avenue and Greenhill; a 2 minute drive from Manor Roundabout (Weymouth Relief Road, Dorchester Road, Weymouth Way); or a 6 minute trip from Buxton Road, Wyke Road or Littlemoor Road. Those using GPS units can key in the postcode DT4 7JZ. Local buses stop at Westerhall, Weymouth College and Dorchester Road/Lodmoor Hill. Simply catch the lines 1, 2, 10, 211, 701K and X53. Shoppers can catch the train to Weymouth Station (3240 ft away). The South West Trains and GWR lines stop close by. Other interesting places nearby: Redlands Community Sports Hub, Bay Miniature Railway, Lodmoor Nature Reserve, Radipole Lake Nature Reserve, Weymouth Golf Club, Jubilee Retail Park, Lodmoor Pitch and Putt, Westhaven Hospital and Conifers Primary School. TESCO operates 3 supermarkets within the Weymouth, Dorset area. Refer to this link for a complete directory of every TESCO supermarket near Weymouth. Over UK public holidays, open hours for TESCO in Weymouth, Dorchester Road may differ from standard times expressed above. For the year 2019 these exceptions pertain to Xmas, Boxing Day, Easter Monday or Spring Bank Holiday. For further information about the holiday hours of business for TESCO Weymouth, Dorchester Road, visit the official site or call the direct contact number at 0800 50 5555. A lift is available in store. Disabled parking facilities are available. Fully accessible toilets are available within our store. Facilities are available for people with mobility impairment. Non assisted wheelchair access is possible. Wheelchair assistance is possible in our store. Assistance dogs are welcome in our store. Facilities are available for people who are visually impaired. Including large print and braille. Opening Times in the UK always works to deliver you with the most up-to-date information. Should you find mistakes in the street address or hours of operation for TESCO in Weymouth, Dorchester Road, please inform us by making use of the report a problem form. 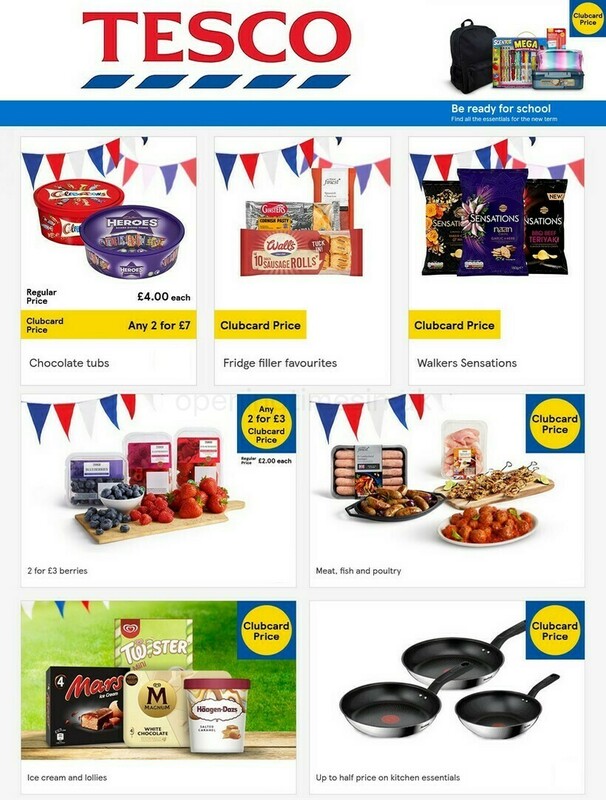 In the form below, you can write your comments about TESCO, which will help future customers in their retail decision and supply them with additional information.